No longer following his oath of "do no harm," this Zombie Doctor will make you his next meal if possible! 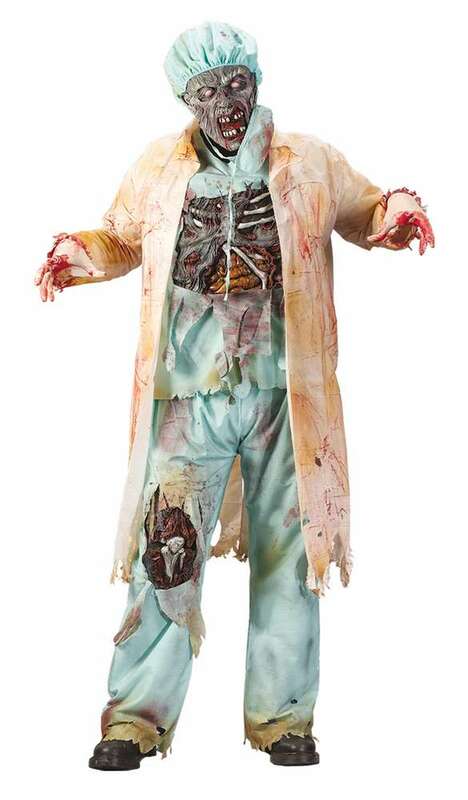 Costume includes shirt with fully detailed, rotted chest attached, pants with rotted knee exposed, rotting zombie mask, surgical mask, cap and latex gloves. Standard Adult size fits 140-200lbs. Made of Polyester, cotton, pvc, and latex rubber. Lab Coat not included.